Climb the Eiffel Tower and discover the city landscape from an unforgettable view. 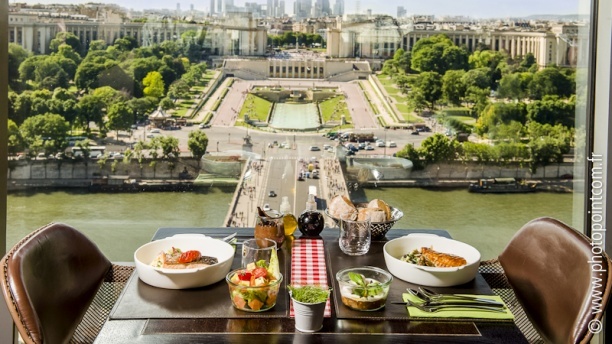 Enjoy your delectable lunch on the first floor of the Eiffel Tower. The Eiffel Tower is known worlwide as the main sight of France. The monument is a must for visitors, as it is an unique building in the world. Designed by the arquitectures Maurice Koechlin and Émile Nouguier and built by Gustave Eiffel for the Universal Exposition of 1889, it became the highest building in the world for 41 years. 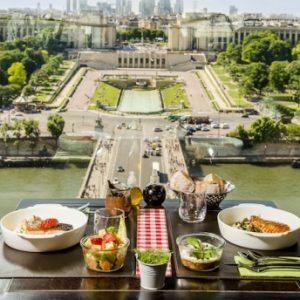 Climb the Eiffel Tower and enjoy a gastronomic experience while contemplating the beautiful Parisian landscape! Eiffel Tower is open daily from 9:30 am to 23:45 pm. Lunch is served at 12 pm and 1:30 pm (to choose one) at the same price. Restaurant located on the first floor.